"It has long since come to my attention that people of accomplishment rarely sat back and let things happen to them. ﻿﻿﻿Do you know why the fitness programs you have tried so far have never worked as promised?? 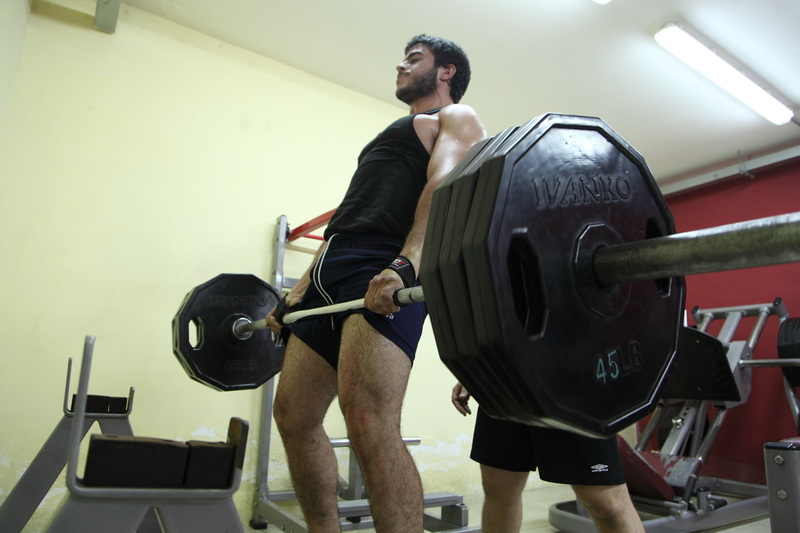 NOTE: These are things most gyms DO NOT WANT YOU TO KNOW! ﻿﻿_Welcome to The BodyForge - the facility for the Life Performance Connoisseur. Get ready for a taste of something different. What you think you know about gyms stops right here. We are not your run-of-the-mill facility. We don't do hamster classes. We don't do cookie cutter workouts. This is about Life Performance - individually fine tuning your lifestyle for maximum benefits and bliss. Mass memberships don't appeal to us - we specialize in personal journeys. This is about taking you places. Pushing your frontiers. Helping you evolve. This is where we have dedicated our lifetime to changing lives - one rep at a time. ﻿﻿What's one sure-fire way to guarantee amazing results? Client and coach have to balance each other out. You see it's useless having the best coach in the world if you are not ready for the best coaching in the world. If a client doesn't want what we're offering, it won't work. If they cannot see the value of what we are delivering, it won't work. So here are our core philosophies on how we see the game we play. This way, you'll know what you're getting into - and we'll attract only those people who believe in what we do. Win - win every way! ﻿﻿We are blessed with having a job that revolves around bringing others closer to their dreams. How seriously amazing is that? We get to shine a light into other people's lives and show them they have magic inside. And how this magic is theirs to use at will - to become the best versions of themselves they could be. That's some powerful stuff. Blows my mind ever time I think about it. And you thought we were just a gym, huh? This is why we love what we do, and why we are still completely in love with making a difference to those who cross our paths. ﻿﻿﻿Over the years, after building a rock solid reputation as the best gym in Gozo and Malta, our infamy has now spread worldwide. High profile VIP clients are now a norm for our world class coaching and mentoring. But it goes far beyond having seriously good equipment and spacious premises. There is one thing that has made us stand out and deliver outstanding results, time after time. It's all about doing it our way - going that extra mile for our clients, where nothing they need is beneath our attention. Where our most important goal is not changing physiques - it's transforming lives. ﻿﻿﻿No. We're really not your typical box gym. 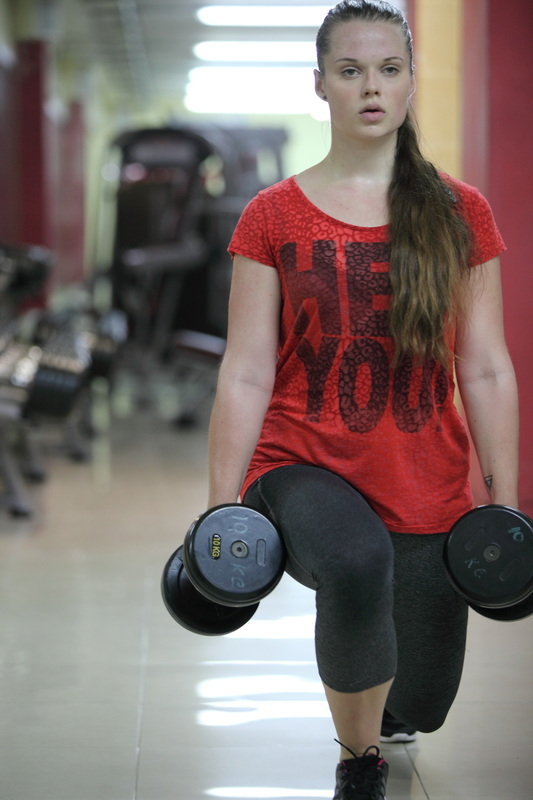 We're actually a connoisseur's fitness facility. That means we cater exclusively for people who WANT to change their lives. Because we're not a place where just anyone who walks in with a wallet can get a membership. Or where egos get in the way (OK, OK, maybe just a little ego). Or where teenagers can come in and wreak havoc because they are left to their own devices. ﻿﻿﻿﻿﻿﻿﻿We're a generation removed from that. The BodyForge has developed a reputation as THE place to go when you want to make transformations happen. We really don't go for the "sign them all up" mentality. We're a pretty exclusive gig. Not just anyone can jump in and dance. You see, The Forge is where science meets fitness and health. Then it switches on the fun and gets the blood going and the fat sizzling. This is where consistent, measurable, tangible and reproducible results are an essential part of the deal. ﻿But, more than anything, we're the place where listening is the most important thing we do. Because listening is a rare trait these days. Which is sad, because listening is where learning is at. Because it's not good enough just to be a "personal trainer" anymore. Those critters are a dime a dozen. Most places just lease you their equipment, or count your reps. The BodyForge is the only place where we help you discover your happiness, using your fitness as a tool. If you could choose between a standard, pre-made, one-size-fits-all program and one that was specifically engineered to match your specific requirements to PERFECTION.... which would you choose? If you could choose between a workout that just made you sweat and one that gave you all the tools you needed to bring about a transformation from within, a process that would change your life in incredible ways...which would you choose? Pretty much a no-brainer, right? That's exactly why our Re-Invention program has people signing up from all across the globe. This system bridges the difference between personal training and Life Performance coaching - by listening to what YOU need and giving you what YOU require. We have athletes, celebrities, actors, company CEOs as well as ordinary Moms and Dads using Re-Invention to look and feel their best. Beware: only those looking for life-changing results need apply. Forget cookie cutter routines that just make you sweat, and call it a workout. You seriously believe a pre-designed class given by some part-time instructor is going to get you anywhere worth going? 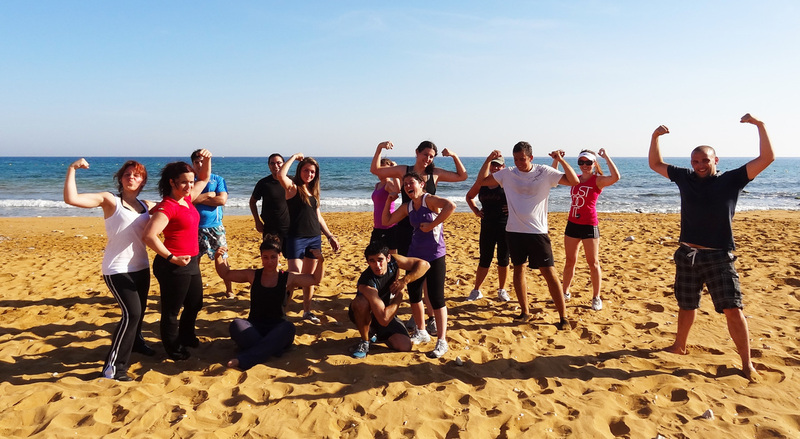 We provide a range of unique group fitness sessions in Gozo, that we have custom built to be insanely effective. These include Pump XT, Rock Kwon Do, FitBoxing, Mummylicious and our awesome Outdoor Fitness Camps*. How about our friendly, welcoming atmosphere, combined with our unique exercise programming (the "Fun + Science" Principle) and...oh...seriously exceptional results! We take the best of everything, and put it all together into a fat-incinerating, muscle-toning signature workout that embodies our "Fun + Science" principle. There is nothing quite like doing it outside. Maybe it's the sun, the sea, the sand...or just that awesome BodyForge workout feeling drizzled on top. The BodyForge is powered by one simple but deeply rooted belief – to help people find their way back to happiness. Strange thing for a fitness facility to believe in, one might say. But then again, we have already shown how we are definitely not your average gym box. We accomplish this mission by creating and executing the most effective health and fitness programs possible - and the main reason our programs are so effective is because we individualize them to every single one of our clients. Listening is actually one of the core reasons why we have become so successful at what we do. You know we're biased - we've spent more than two decades fine tuning this science into an art form. Our love for the game seeps in to every one of our passionate and dedicated clients. "The Re-Invention program delivers so much more than it promises. "You have to go in with an open mind, a willingness to learn, a love of life and a great sense of humour! And your training will never be the same again." "I never realized how much an active lifestyle could change my life mentally as well as physically. Today, even after such a short time, I feel like a different woman." 11 on a scale of 10. The attention to detail and the knowledge bombs have just blown me away." Do you feel like you deserve a difference? So we make it happen. Other places will lease you equipment by the hour. They will put you on a treadmill and call it a workout. They will give you cookie cutter programs and call it personal training. At The Forge we are Life Performance Connoisseurs. That means we specialize in making you happier, using fitness as a tool. And every program we make is tailored to each individual - specifically. Think about it next time you are looking for a place to trust with something as important as your life. So, you've decided you want to take that step into changing your life at last. 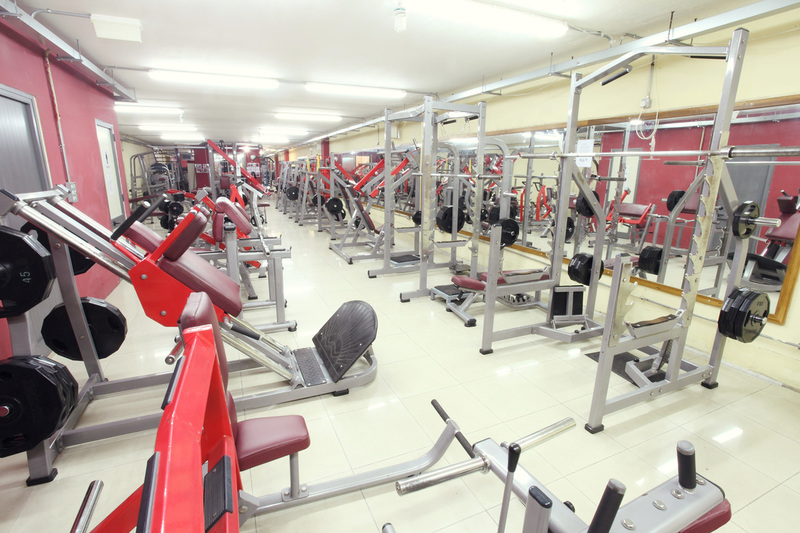 Are you looking for just any gym? Then we're not what you're looking for. Or would you prefer to work with the best Life Performance Connoisseurs you can get your hands on? If you answered yes to the last question, get in touch RIGHT NOW. We love helping people just like you. Yes, even if you have failed 1000 times before. Want to hear some raw, opinionated views about fitness, from one of the top coaches and motivators in the industry? Tired of the tabloid lies and magazine diets? Then this blog would be the place to go. We call it "The Truth About Fitness". Donatello just calls it "talking from the heart". That's refreshing in an industry where it's all about pretenders, wannabes and clones. Where it's all about stroking egos rather than calling it out for the way it is. Be warned - don't go here if you are easily offended or if you think you know it all. Because Don doesn't pull any punches - he lays into it and lets you have it with all he's got. Only for those who want to be the best they can ever be.